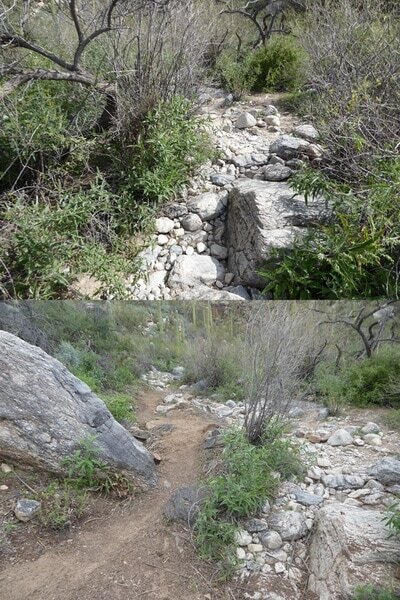 In 2017, CASA received a Recreational Trails Grant from the Arizona State Parks to help pay for trail work on Mt. Lemmon! 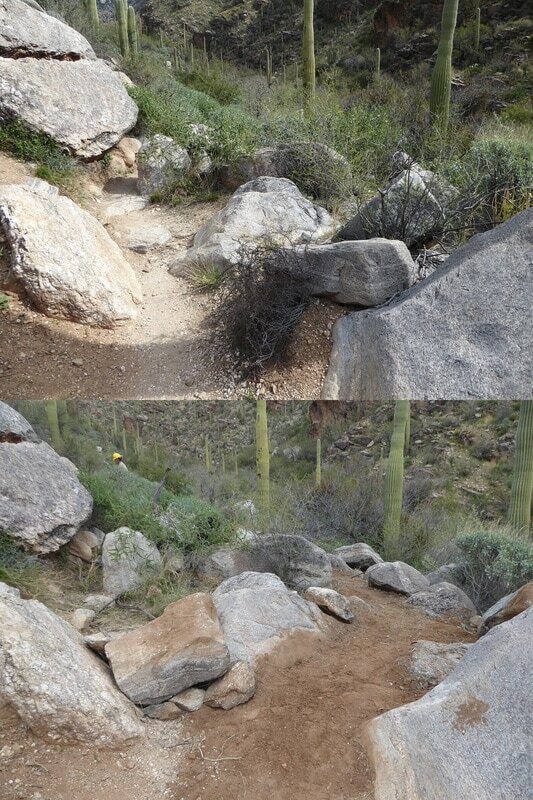 CASA is partnering with the Arizona Trail Association and the U.S Forest Service to help maintain 21 miles of systems trails used by all types of outdoor enthusiasts. We have had a very successful second quarter of 2017. Arizona Conservation Corps (AZCC) crews completed maintenance work on the Incinerator Ridge, Aspen, Marshal Gulch, Meadow, and a small section of the Lemmon Trail during the month of May. Work was primarily vegetation removal, crosscutting fallen logs, and installing Carsonite trail signs. Hands on supervision and close coordination with the Catalina Ranger District Forest Service helped to maximize the effectiveness and productivity of the crews on this project. On June 3 we had 44 volunteers come to our Adopt a Crag volunteer event. With this incredible turnout our hardworking volunteers completed a massive amount of work on the Aspen Trail, repairing eroded tread, restoring damaged areas, and improving the trail. CASA's Recreational Trails Program (RTP) grant is off to a great start. Arizona Conservation Corps (AZCC) crews recently worked on Finger Rock, Arizona, and Bug Springs trails. This project benefits all trail users, and it secures CASA's place as a recognized user group and valuable Forest Service Partner. This work is more than just about fixing our local trails. It's an incredibly successful collaboration between local users, youth, and land managers working together to benefit the community and the land we recreate on. 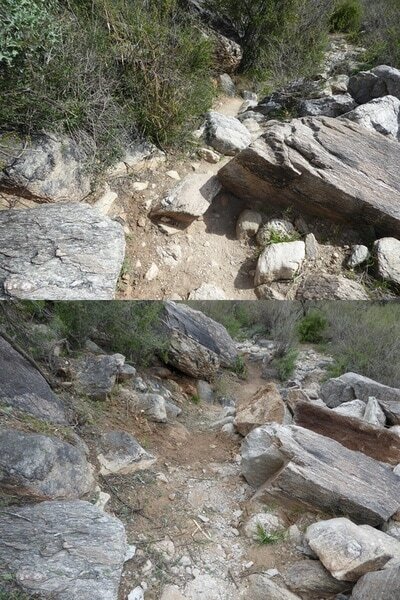 CASA received a Recreational Trails Grant from the Arizona State Parks to help pay for trail work on Mt. Lemmon! The grant will be used in the Santa Catalina Ranger District on 21 miles of established trails. 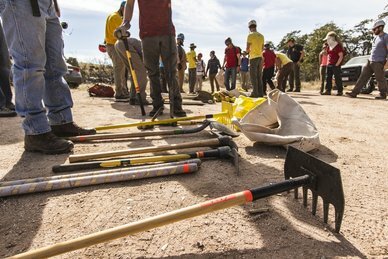 CASA will be partnering with the Arizona Conservation Corps, the Forest Service, and the Arizona Trail Association to perform maintenance work on trails that access climbing areas in the Catalinas. 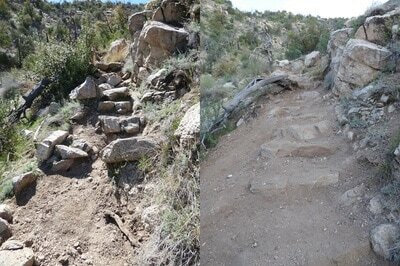 The work will also benefit all other users of these trails including mountain bikers, equestrians, and hikers. Pika Consulting is a trusted and experienced trail design and construction firm that has been in operation for over nine years. Pika Consulting provides cost-effective and professional trail design, layout, project management, volunteer coordination, program design, training, and construction supervision and has completed other projects comparable to the CASA RTP grant-funded project. Pika Consulting is owned by Eric Ruljancich, CASA's Stewardship Coordinator. 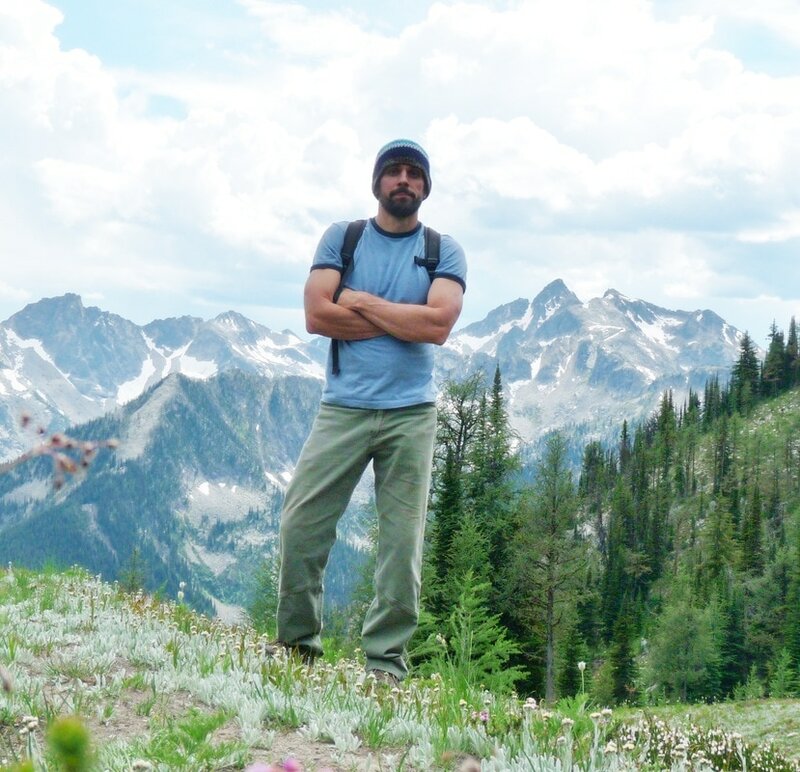 In his role as Stewardship Coordinator, Eric has organized and run all of CASA's Adopt-a-Crag events, collaborating with the Access Fund, Arizona Trail Association, Arizona Wilderness Coalition, and Forest Service. As administrator for the RTP grant, Eric and Pika Consulting are bringing a wealth of experience to the job, but are also donating thousands of dollars worth of free professional services to make sure that CASA is getting the best value for our money. ​Pika Consulting's willingness to do this work for far below the market rate is a huge benefit to CASA and to the greater climbing community. Non-profits often rely on the generosity of their supporters and volunteers to get more bang for their buck. If you see Eric, consider thanking him for offering to work for so little! Will this work be on climber trails? Work will be on systems trails in the Forest Service inventory that are at least partially used by climbers as access to climbing areas. Why not spend the money on climber-specific trails? CASA is dedicated to mitigating climber impact. Ideally, we would like to work directly on climbing access routes and belay areas, but that goal is difficult to achieve because of Federal Forest Service regulations. The next best thing we can do is take care of established systems trails that climbers use to access climbing areas. Think of it like buying carbon credits to offset your carbon footprint. 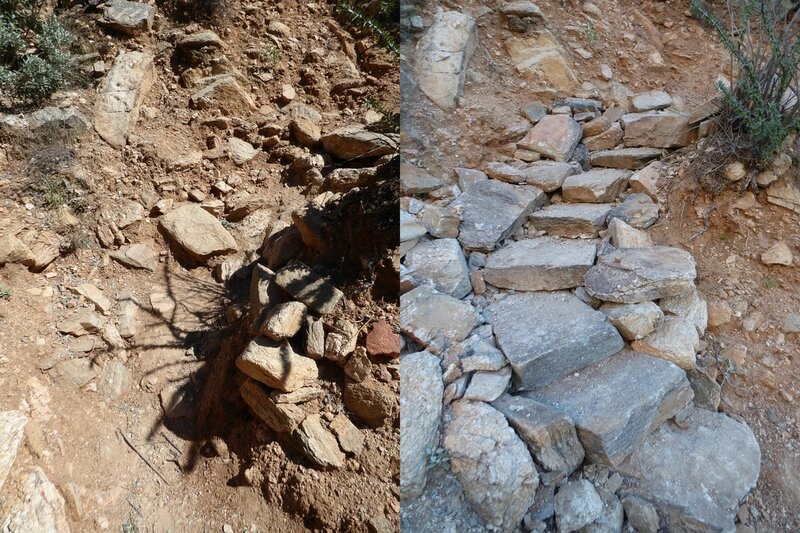 We’re going to mitigate erosion and improve trails that are already approved by the Forest Service and that are used by a large number of groups, including climbers. How much is this costing CASA? Virtually nothing. This grant was written with volunteer time and much of the work to oversee it is being donated. 100% of money spent will be from the State Parks Recreational Trails Program grant. CASA’s is providing some volunteer skills and hours to help spread the grant money even further, and our insurance cost only increases slightly! Why doesn’t the Forest Service do this work? Each agency/group may receive only one grant per year up to $80K. 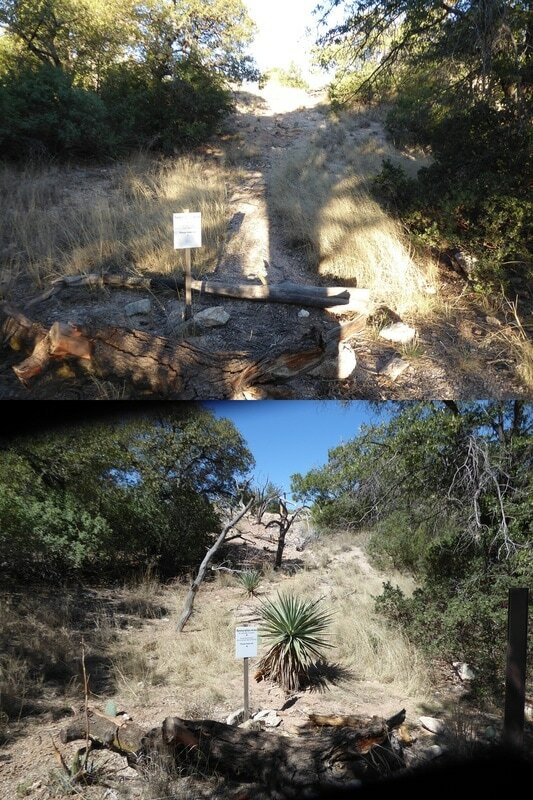 The Coronado Forest Service has also received a comparable grant that they are using to work on additional trails in the Catalina Mountains. Essentially, CASA is helping our local Forest Service by bringing in resources beyond what they can access. With CASA’s help, our Catalina Mountains get double the benefit. Do we still get to have Adopt a Crags? Absolutely. CASA is committed to hosting several Adopt a Crags per year where climbers work directly on climbing access routes.